Join us for a year of hand-dyed astrological knitting and/or crocheting!!! 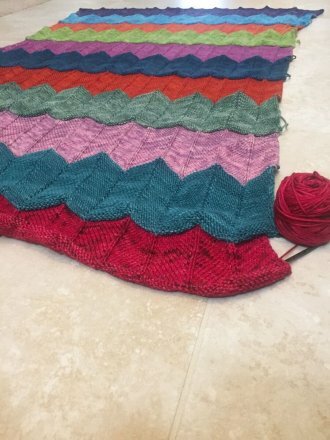 The Toshstrology blanket is designed to be worked one month and one skein at a time using our 2016 limited edition Madelinetosh colors inspired by the zodiac, so at the end of the year, you'll have a lovely, afghan-sized piece with all the Toshstrology colors! This pattern will be updated periodically throughout the year with progress photos as we add colors. 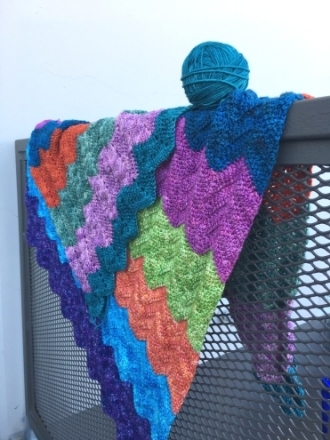 We hope you enjoy this free knitting and crochet pattern. This free pattern and the associated photographs are only for personal non-commercial use and are not for resale.